Posted On September 27, 2018 by Team iCynosure. When I travel with family; especially my young kids, there are so many things that become necessary to carry. 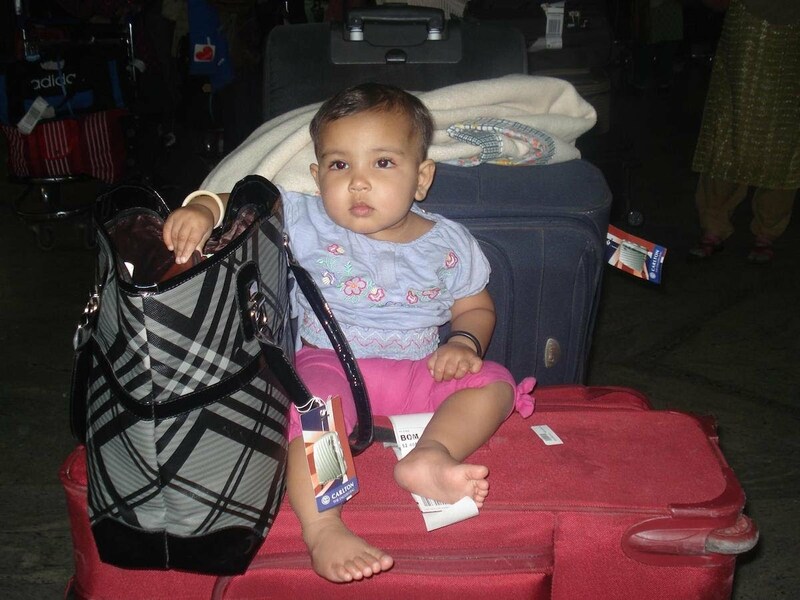 Most recently when we flew via one of the Mumbai to Bangalore flights for a family wedding, I was almost certain that we were way beyond our baggage allowance, due to the number of things I carried for the kids. Their baggage was twice as much as ours with additional clothing, bath and skincare products, games and toys, personal bedding, baby food, stroller, etc. However, luckily we just hit a couple of kilograms over the quota and the airline graciously let us through without an additional payment. It was only on our way back on a Bangalore to Mumbai flight that I got thinking about the amenities that a hotel can provide to reduce the baggage burden on guests. I’ve been to numerous beautiful hotels and resorts and enjoyed their free shuttle service, free Wi-Fi, complimentary breakfast, etc. but never inquired about any specific child-centric amenities offered. Travelling with kids is an extremely different kind of experience, where extra attention needs to be given to their comfort and safety; and if this aspect is covered by a hotel, it will definitely be a bonus to parents. So the next time, when I’ll be booking a hotel or resort I am sure to be asking about some of the facilities that will not only help me enjoy my stay but also ensure my baggage is within the airline allowance limit. With the amount of baby-gear moms travel with, equipment lending will definitely be a huge pull that will draw in families to a hotel. Simple but important things like strollers, cribs, baby monitors, nightlights, bottle sterilizers and warmers, bathtubs, etc. could be offered via a baby concierge service, upon request. Kids tend to bored easily and when on a holiday, moms do not want to spend their time entertaining the little ones. That makes in-room entertainment a much-needed amenity that parents look for. Apart from kids-friendly television channels, a gaming console, indoor camping tents with sleeping bags, etc. make for some interesting options. As a family shares a hotel room, they tend to share the bed as well; and unfortunately, most hotels offer only a double bed which does not allow for a good night’s sleep. A hotel that would offer queen-sized beds, additional toddler beds, infant cribs will definitely put moms at peace and the hotel on family priority lists. Of course, every hotel offers an elaborate breakfast spread, mouthwatering food at their numerous restaurants but kids are known to be fussy eaters. Moms would love having kid-friendly food-items that are versatile, low on sugar-salt-spice to ensure that kids never go to bed hungry nor the family has to step out of the hotel to eat outside. Some hotels offer regular electronic items including a mini-fridge, ironing board, hairdryer, etc. But for moms, the one electronic item that is a deal maker is a microwave that allows them to warm up milk, and sometimes cook or heat up a quick snack for the little monsters on demand at odd hours of the day. If these amenities are provided by a hotel, my holiday with my kids will be a lasting memory and not a stressful getaway. How about you, what amenities do you look for while booking a hotel? Being a parent isn't easy, and travelling as a parent is more tough than anything else, especially since you need to carry a zillion things. Wouldn't it be os much better if half of your luggage is something that the hotel you are to stay at will provide? One of the things I look for while booking a hotel are the amenities it provides.... and these are the ones that absolutely delight me to the fullest. What about you? That was nice of them not to charge you for the extra weight. We are going to going on are first family trip here soon. So I will defiantly be look for a hotel with all of these things.